Narayani is one of the most famous Shakti peetha and tantra peerha of the district, situated at the border of Ganjam and Khurda district. The deity has her place on the top of the Bhalleri hill, garnished by a dense sal and mango grooves. The extension of the bhalleri is known as Narayani khola. It is belived the top of the shrine us the seat of Devi Banadurga. As per mythology the deity in the shrine is an aavatar of Maishamardini Maa Durga. Earlier she was worshipped by the local tribes in a natural shape inside the cave. On Later the local civic bodies arranged the puja and shaped the deity as a ten armed figure. An ex-ruler of Khallikore garh built the present shrine. The construction of the temple maintains a unique pattem of cementing between the stone pieces used in the stricture. It was cemented by using hind saliva like substance secreted from rubbing of two stone pieces with each other instead of the prevalent cementing process of stones of that it lacks a chuda (peak) in its construction method. The green Narayani jungle with its calm and quiet environment attracts quite a large number people to visit the place. During the winter the rush of picnickers to the spot is multiplied .The enchanting view of Chillika Lake from the top of bhalleri hill leaves a long lasting impression in the mind of a viewer that is beyond any description. Ashokssthmi is the most import ant festival of the hilly goddess celebrating for three days. Following the every year based calendar Mesha sankranti and Raja sankrajti are also important ones for her as a goddess of tantra sastra. A large number of devotees visit the temple and worship to the deity during these days every year. 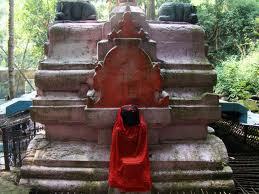 Give Responses for "Narayani Temple of Berhampur"